After two rainy beach days in Puerto Lopez with great seafood we found this beautiful village just two hours from Quito. Mindo is a paradise for hikers and bird-lovers. 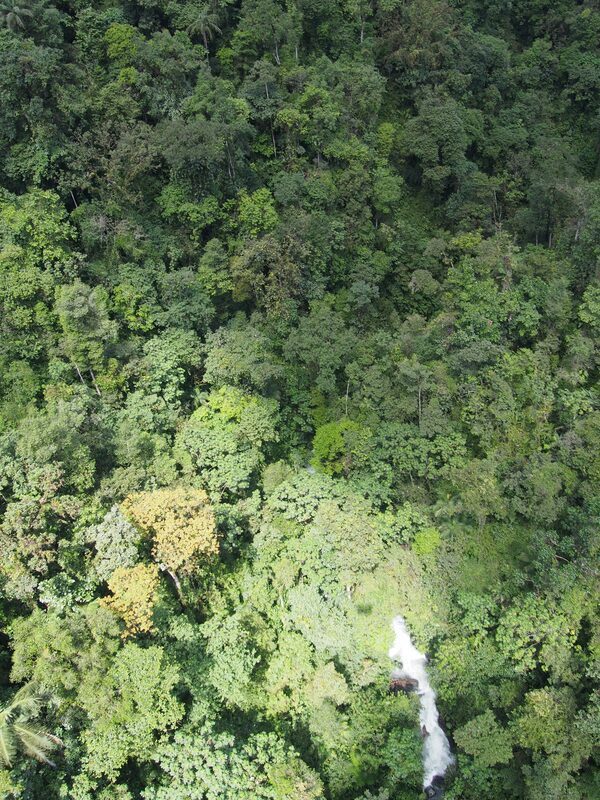 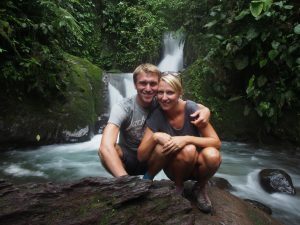 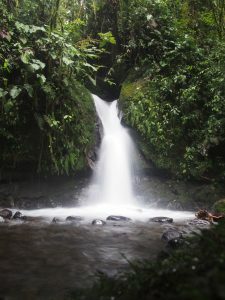 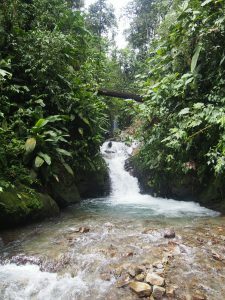 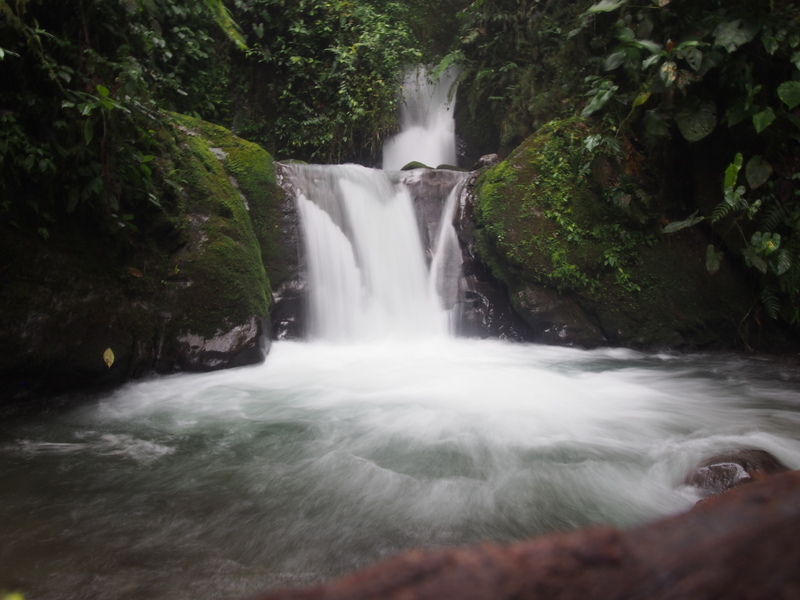 We spent one day hiking to the several small cascades in the cloud forest. 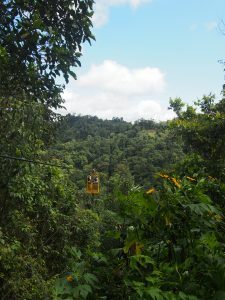 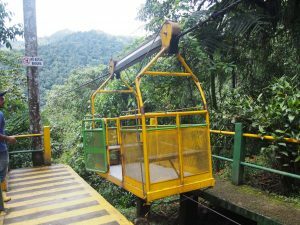 To get there, you have to take the cable car which takes you high above the forest. 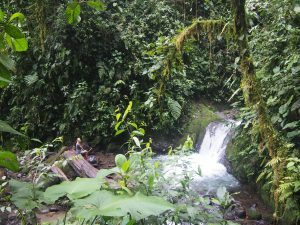 The hike to the cascades is through dense cloud forest and there are so many different trails that you can spent one or even two days here. 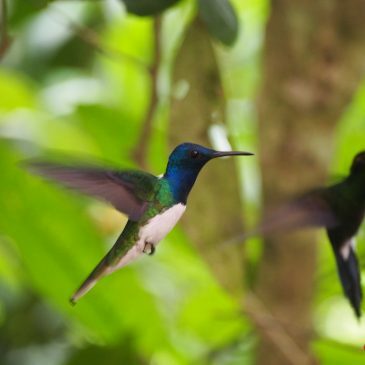 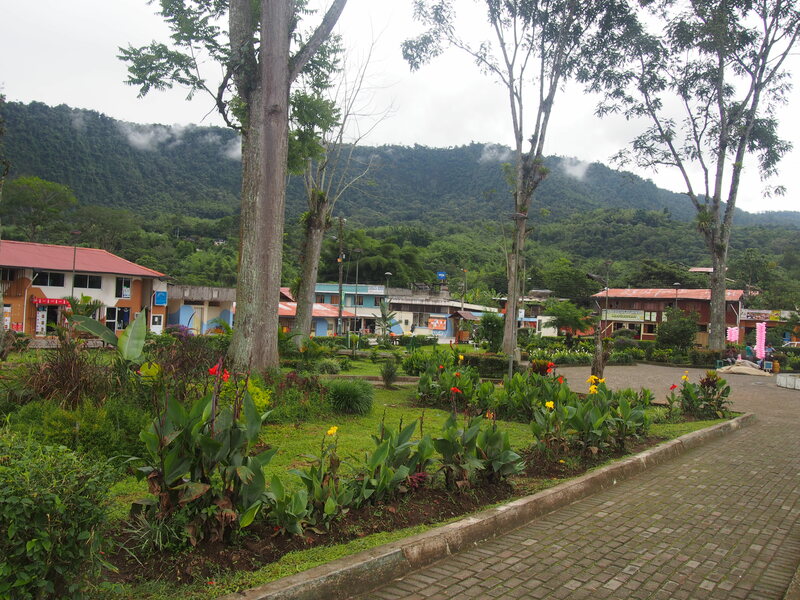 Mindo is also known among bird-lovers for its huge variety of birds. 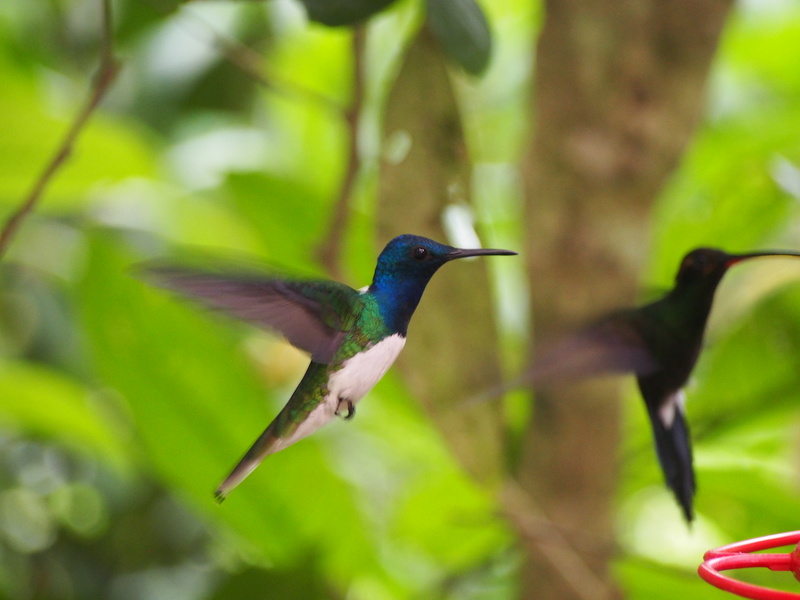 We were too lazy to get up at 6am to see them, but we still saw a lot of hummingbirds. 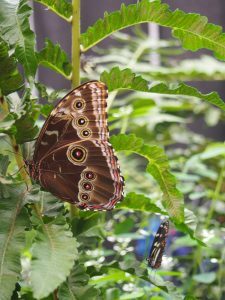 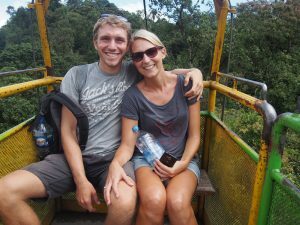 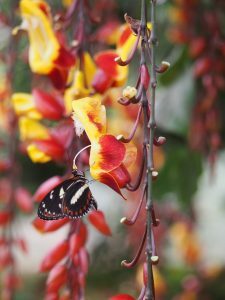 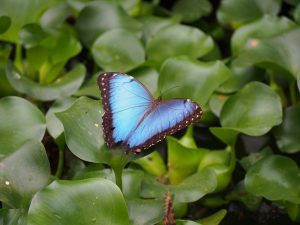 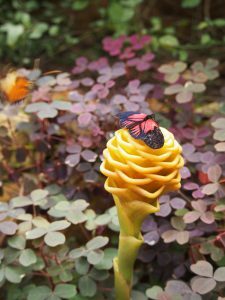 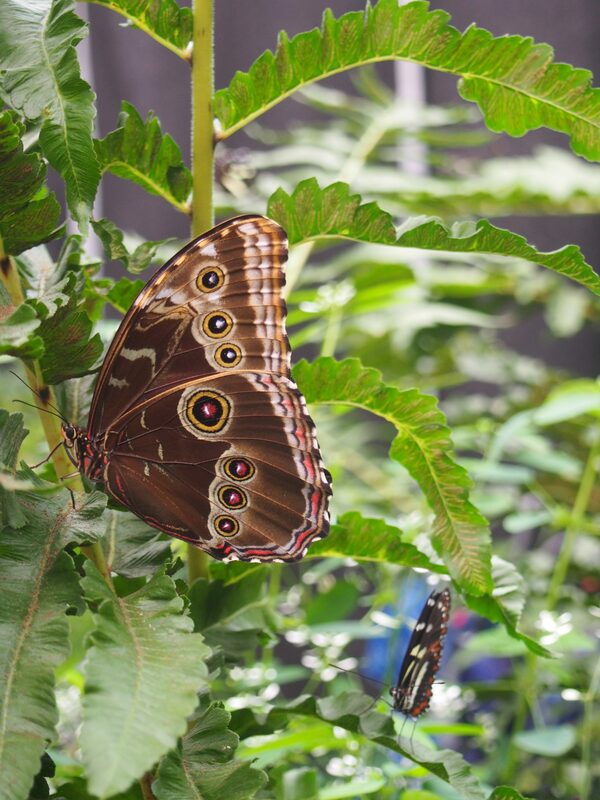 One day we went to a butterfly reserve (Mariposas de Mindo) to see some of the butterflies of the area. There were hundreds of butterflies flying around and we even saw some hatching out of their pupas. 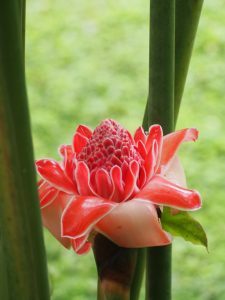 Mindo – definitely worth a stop on your way to Quito!